For shaving nicks minor cuts & scratches & to reduce the discomfort of bites & stings. 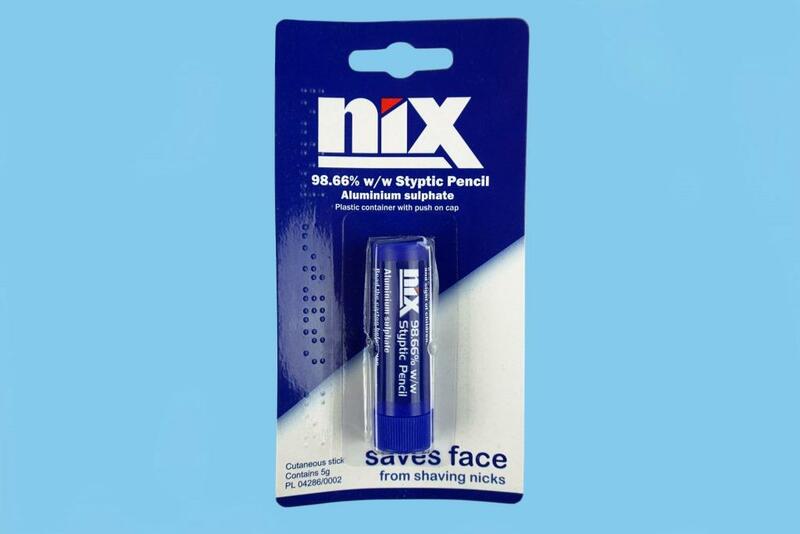 98.66% w/x Styptic Pencil Aluminum Sulfate, used on Shaving nicks, minor cuts & scratches to stop bleeding it also reduces discomfort caused by insect bites & stings. To view the Summary of Product Characteristics and Patient Information Leaflets please follow this link. At the link type-in aluminium sulfate or Nix in the Search Box, accept the terms, open the PIL or open the SPC.